Professor Foster received his BS in physics from Stevens Institute of Technology (1983). 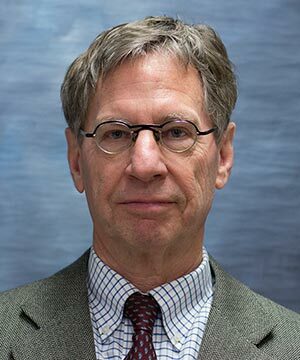 Following two years at the General Electric Research and Development Center, he came to the University of Rochester, where he received the PhD in physics (1990). He joined the faculty at the University as an Assistant Professor of Radiology in 1990. He was promoted to Associate Professor in 1994 and is currently Professor of Imaging Sciences (formerly Radiology), of Physics, of Optics, and of Biomedical Engineering. From 2001 - 2008, Professor Foster was an associate editor of the journal Photochemistry and Photobiology and from 2004 - 2008 served as a member of the National Institutes of Health Radiation Therapeutics and Biology Study Section. He was elected a fellow of the American Physical Society and a Senior Member of the Optical Society of America in 2001 and 2012, respectively. Professor Foster’s group has investigated a wide range of topics in biomedical optics. Preclinical and clinical problems in photodynamic therapy (PDT) have been an important emphasis. PDT is a cancer and anti-microbial intervention that has received limited regulatory agency approval in the US and numerous other countries. It exploits the photophysical/photochemical properties of compounds which, when irradiated with visible or near infrared light, initiate photochemical reactions that destroy target cells through a combination of direct and indirect mechanisms. His group has designed and built instrumentation that integrates the delivery of the PDT treatment light with reflectance and fluorescence spectroscopic evaluation of tumor response to therapy. One such system has been used in clinical trials in skin cancer patients. Other recent projects have included studies of light scattering from intact cells, fluorescence imaging of gene expression and of immune cell infiltration in tumors in vivo, optical property measurements of human cancer, mechanisms of anti-microbial PDT and detailed mathematical modeling of photodynamic therapy dosimetry.